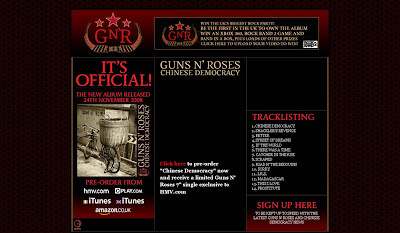 After 14 years of work and $13m of production costs, Guns N Roses are finally ready to release their 'Chinese Democracy' album. The music world has change significantly in the last 14 years though. 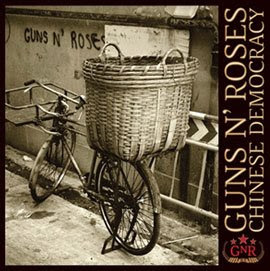 When Guns N Roses started to record 'Chinese Democracy', CDs were a premium product and the consumer internet barely existed. 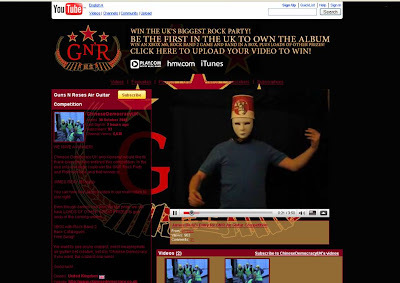 In the new world of P2P and social networking there are new rules - but Guns N Roses seem to be adapting with various marketing initiatives to create buzz. 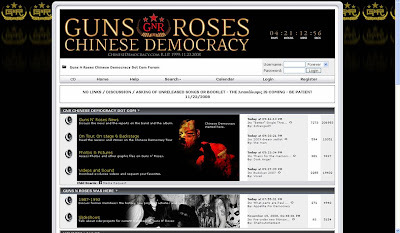 The first anyone heard from the album was the title track 'Chinese Democracy' which was officially circulated to radio stations from 22nd Oct and seeded online - prompting significant debate and forum discussion. The original audience for Guns n Roses and the 'Appetite for Destruction' album grew slowly and predominantly through word of mouth (as radio stations refused to play the majority of the album tracks due to explicit lyrics and offensive album artwork.) Appetite for Destruction took a year to reach number 1 on the US album chart and 'Sweet Child Of Mine' only reached number 24 when it was first released in the UK in August 1988. 'Sweet Child Of Mine' was then re-released in May 1989 (after 'Paradise City' got into the UK top 10) and peaked at number 6. 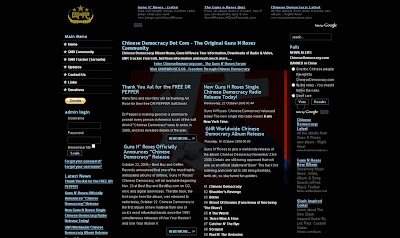 The rules of the game may have changed, but Guns n Roses seem to be embracing the new word of mouth channels (social media) and doing everything they can to get 'Chinese Democracy' to be a success. Slash may have gone, but Axl Rose is still rocking - I haven't bought a CD for over 3 years, but may well be in a record shop (if I can actually find one) to buy the new Guns n Roses album on release day. Now someone get Axl Rose onto Twitter!!! !